Tennis Canada announced on Wednesday the wild cards for the 2016 Rogers Cup presented by National Bank in Toronto and Montreal. The four wild cards for the ATP World Tour Masters 1000 tournament in Toronto are going to Canadians Frank Dancevic (Niagara Falls, Ont. ), Steven Diez (Toronto), Peter Polansky (Thornhill, Ont. ), and Denis Shapovalov (Richmond Hill, Ont.). In Montreal, the three wild cards for the WTA Premier 5 main draw have been awarded to Francoise Abanda (Montreal), Aleksandra Wozniak (Blainville, Que. ), and Frenchwoman Caroline Garcia. Canada will now be represented in the main draw of Toronto and Montreal by nine players, as the six wild cards join Milos Raonic (Thornhill, Ont. ), Vasek Pospisil (Vancouver), and Eugenie Bouchard (Montreal) in their respective tournaments. Raonic, Pospisil, and Bouchard earned direct entry into the main draw. Dancevic, who is currently ranked world No. 232, will be making his 14th Rogers Cup main draw appearance. A former Rogers Cup quarter-finalist, he has qualified for two other ATP World Tour tournaments this year, making the third round of Nottingham and second round at Newport. He also won an ITF Pro Circuit Futures title in Bosnia and Herzegovina earlier in the season. At a current career-high of world No. 190, Diez is in the midst of a successful season. He advanced through qualifying to play the ATP World Tour 500 event in Hamburg earlier this month. In addition, he has captured three Futures crowns and made the final of a $75,000 ATP Challenger in Moscow. The 25-year-old will be making his Rogers Cup main draw debut. Polansky is having a strong summer, having won 14 matches in a row on the ITF Pro Circuit in Canada, winning Futures titles in Richmond and Kelowna, and finishing runner-up in Saskatoon. Ranked world No. 239, he also was a recent quarter-finalist at the $75,000 Winnipeg National Bank Challenger. This will be his ninth Rogers Cup main draw, with his best finish being the second round in 2009, 2010, and 2014. Shapovalov was previously announced as a wild card recipient, and will play his first career Rogers Cup. The 17-year-old recently won Junior Wimbledon, becoming only the third Canadian to ever clinch a junior Slam singles title. He is currently ranked No. 371 on the pro tour, in part thanks to three ITF Pro Circuit titles won earlier this year. At No. 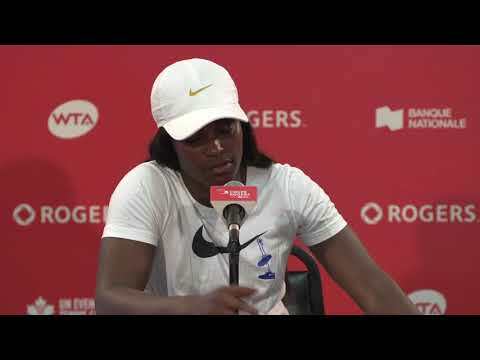 274, Abanda is the second-highest ranked female player in Canada. The 19-year-old’s best result on the season so far is winning the $25,000 Irapuato Challenger in Mexico in March, her second career pro title. A former junior world No. 4, Abanda will be playing in her third consecutive Rogers Cup and looking for her first second-round berth. Former world No. 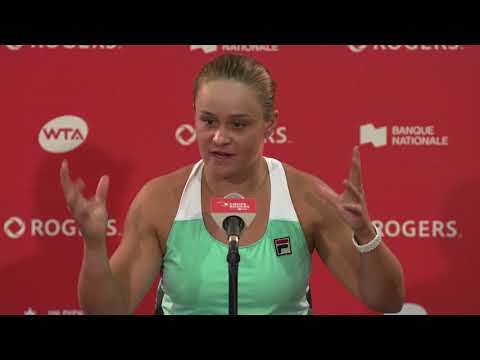 21 Wozniak will be aiming to find her form at Rogers Cup. A quarter-finalist in Montreal in 2012, she hasn’t played many tournaments in 2016 due to injury with her best performance coming at an ITF Challenger in Arizona in February where she reached the quarter-finals. Currently world No. 472, the veteran will be participating in her 11th Rogers Cup main draw. The world No. 32, Garcia is a promising young star. The 22-year-old from Lyon, France has clinched two WTA titles this year, winning at Strasbourg and Mallorca. She is also a top-ranked doubles player at world No. 3 with six titles including this year’s Roland Garros. This will be her third main draw appearance at Rogers Cup. In return, Tennis Canada will receive a wild card into the qualifying draw of the 2017 French Open. Wild cards into the qualifying tournaments were also awarded. In Montreal, they were presented to Bianca Andreescu (Mississauga, Ont. ), Gabriela Dabrowski (Ottawa), Charlotte Robillard-Millette (Blainville, Que. ), and Carol Zhao (Richmond Hill, Ont. ), with two more spots to be presented to the winners of a pre-qualifying tournament taking place this week at STADE IGA. In Toronto, Felix Auger-Aliassime (Montreal), Philip Bester (North Vancouver), Brayden Schnur (Pickering, Ont. ), and Benjamin Sigouin (Vancouver) have received wild cards, and will receive the chance to compete for a position in the main draw.